The price starts from £0.49 but only one game available at this price. Maximum of the games are selling on £0.69. If you are a gamer and like to play games on your Android device, this could be a nice chance to get your hands on some cool games. Some of the games offered here with 70% off. 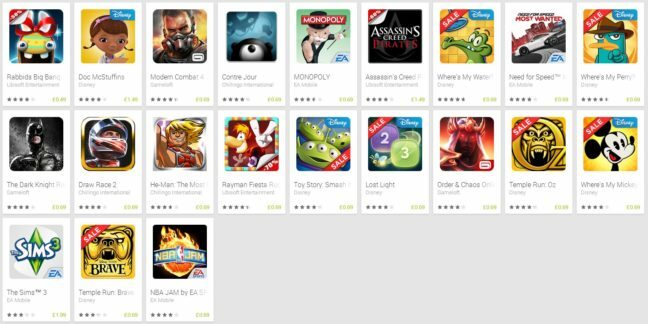 The following 21 games are available from Google Play Spring Games Sale from UK Google Play Store. Head over to play.google.com to get all the games from Google’s Spring Games Sale. You will find the promotional tab on their homepage. List of games might be bit different in your country. These games are available in UK Play Store. Enjoy the games at reduced price!